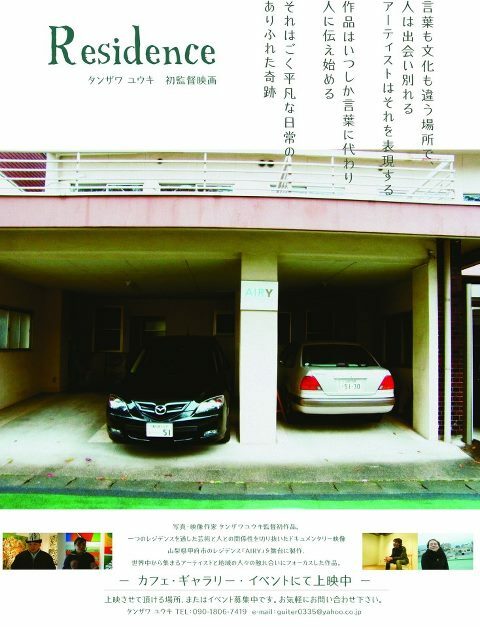 The Documentary Movie “Residence” was interviewed to the artist of 2011-12 year at AIRY by Tanzawa Yuki, a video artist from Kofu City. It was completed as the first director work. He is picking up daily scenery such as encounter and separation at the place called Artist In Residence, and creative activities. It is an impressive work of about 1 hour eddited with a human touch. We are looking for finding cafes and spaces that can hold screenings from now on. Please let us know if you find one. Documentary movie [residence] official website please check it out the recent showtime.